Obtenteur : unknown but already cultivated during the 19th century. Fleur : double, cherry red with purple-violet nuances. Very rustic, 'Baron de Gossard' has great resistance to cold. Plant this elegant shrub in sun or partial shade. 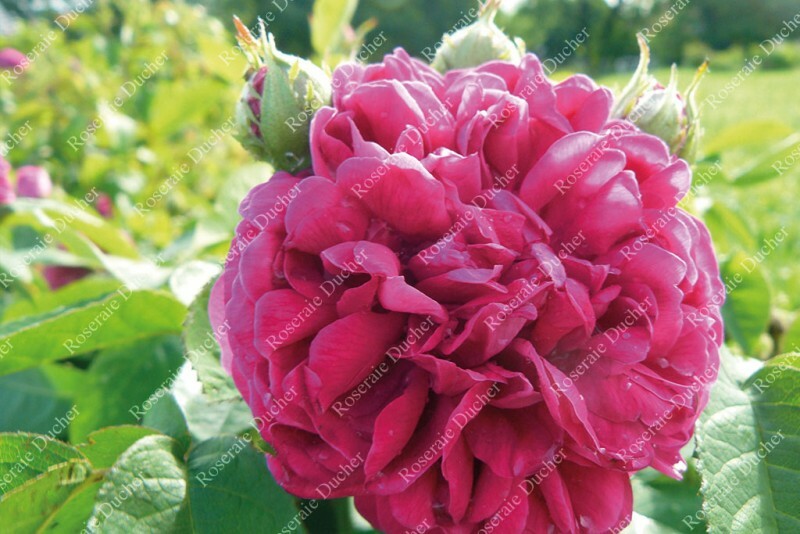 Rare, this shrub rose will delight collectors of heritage roses!